Just around the corner, quite exactly on 30th and 31st March, we will get to see the unmitigated Monster Jam. 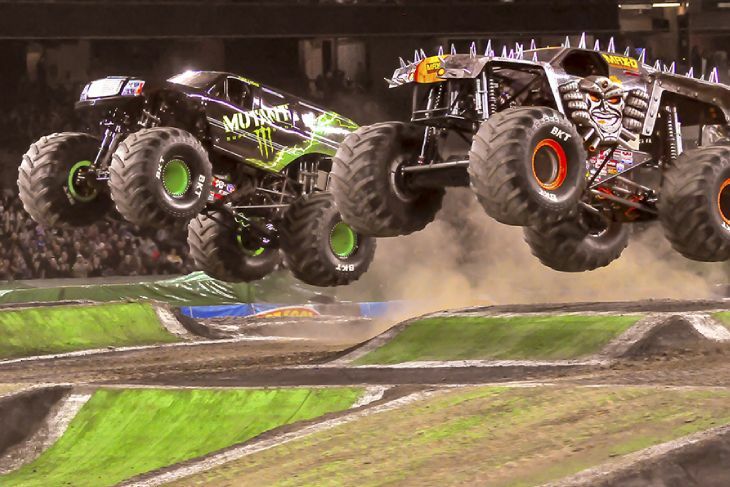 There at Pensacola Bay Center, it will be returning and to that end, eight of the most loved monster jam trucks will literally roar through Pensacola. But it is not just about the trucks, their unusualness or the excitement of attending such an event. We will also get to see – in action – eight monster truck drivers as they show us their best. The Bay Center event will provide you with the most exciting moments on the racing track with the help of those unusual Monster Trucks. We can’t complain about those who are not familiar with the game for thinking that these are toy trucks but can simply assure they are not. World renown, these drivers are there to give us an unforgettable show – a show that those huge crowds are not going to be forgetting any time soon. This is not a smooth track that we are trying to familiarize you with, but a track that has ups and downs, ditches and hills, and as we have seen in other Monster Jam Races we might even get to see that the drivers have to surmount hurdles made out of other cars or even tanks. Don’t be surprised, but this is a favorite sport with a lot of people eager to attend, somehow it actually looks like a gameboard or children’s toys to add more to your entertainment. In fact, it is quite dangerous just like any other racing game and is a serious business in the case of Monster Jam. It is a season that fans wait for with bated breath and the show is more than just exciting, it is dangerous, pumps adrenaline in our blood and those expert drivers really give a great show. So, with the awaited weekend just so near, we will have the opportunity to see this unusual race, strange looking trucks that resemble our children’s toys as they race through a race track that is way more than a race but a family event where you can easily take your kids to treat with some funny and thrilling moments. The event itself is scheduled for 1 pm up to 7 pm, but invitations are open for fans to attend the pre-event – in this case, it is the Pit Party. The party is scheduled to be before the event, and of course, on both days. This is quite a treat if you will be taking your kids on this family-friendly, action-packed, two-day event. To make it even more exciting, the Monster drivers who will be featured are Scooby-Doo, Monster Mutt Dalmatian, Dragon, Bad News Travels Fast, Grave Digger, Pretty Wicked, and Stinger Unleashed. The names sound fearsome but actually, they take these names from popular characters just for fun, and to portray the ambiance that you will get to see. Price of tickets is really low and starts at $15 and you can search here to buy them without service fees. Since these are not the finals, you have an opportunity to see more such shows if you get to enjoy the Monster Jam at Pensacola Bay Center.